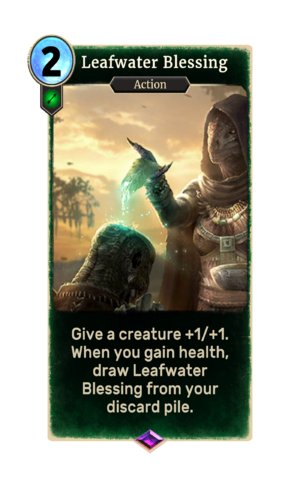 Leafwater Blessing is an epic Agility action card. It is part of the Core Set. It applies the Morning Dew card effect. This card's ability applies the Morning Dew card effect.